Statistical data analysis is the backbone of sound business decision making, and finding the right tool to analyse a particular business problem is the key. By learning the fundamentals of statistical reasoning and data analysis, you will be on the way to becoming a better manager, analyst or economist. 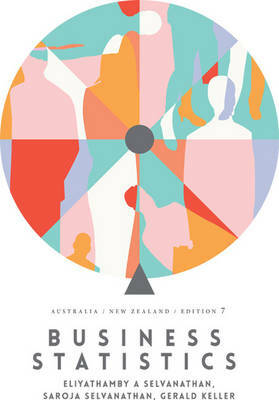 By providing a framework for solving statistical problems, this seventh Australian and New Zealand edition of Business Statistics teaches skills that you can use throughout your career. The book shows you how to analyse data effectively by focusing on the relationship between the kind of problem you face, the type of data involved and the appropriate statistical technique for solving the problem. Business Statistics emphasises applications over theory. It illustrates how vital statistical methods and tools are for today's managers and analysts, and how to apply them to business problems using real-world data. Using a proven three-step Identify-Compute-Interpret (ICI) approach to problem solving, the text teaches you how to: 1. IDENTIFY the correct statistical technique by focusing on the problem objective and data type; 2. COMPUTE the statistics doing them by hand and using Excel; and 3. INTERPRET results in the context of the problem. This unique approach enhances comprehension and practical skills. 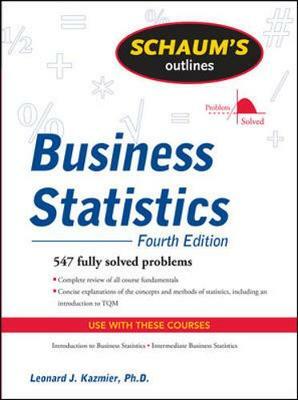 The text's vast assortment of data-driven examples, exercises and cases covers the various functional areas of business, demonstrating the statistical applications that marketing managers, financial analysts, accountants, economists and others use. Learning resources such as CourseMate maximise study time to help you achieve the results you want. Completely up-to-date, the seventh edition offers comprehensive coverage, current examples and an increased focus on applications in the real world.